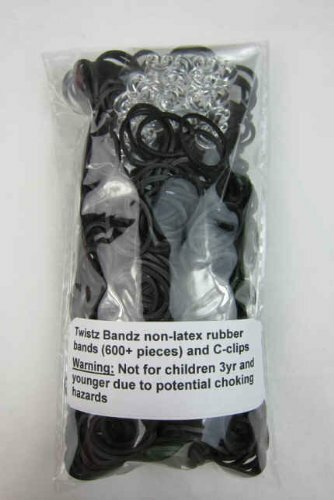 Latex free rubber bands for Twistz Bandz kit. Includes: 600+ rubber bands and C-clips. Makes up to 24 rubber band bracelets.